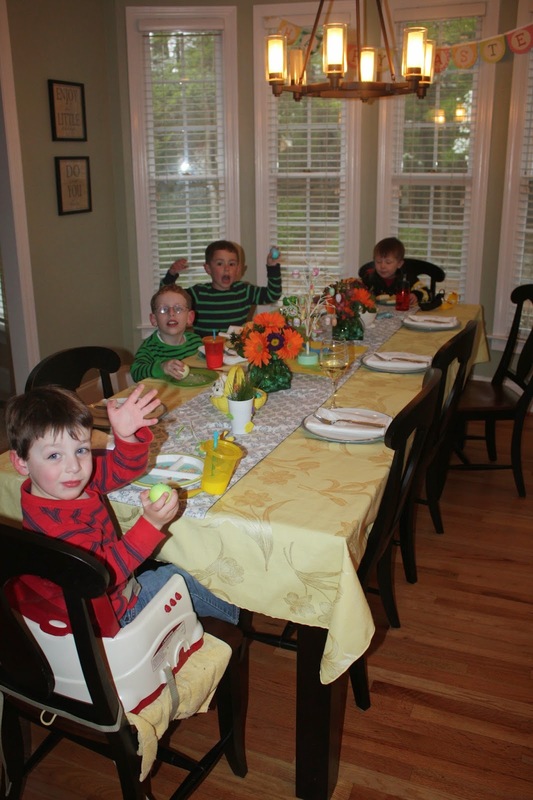 Now that we don't live in Philadelphia, it's harder to host Easter for our families. My mom was in town, but we also invited our local family, the Emslies, over for Easter dinner. Harrison loves all Ben's fireman gear.